The Usability engineering lifecycle – rastplatznotizen. 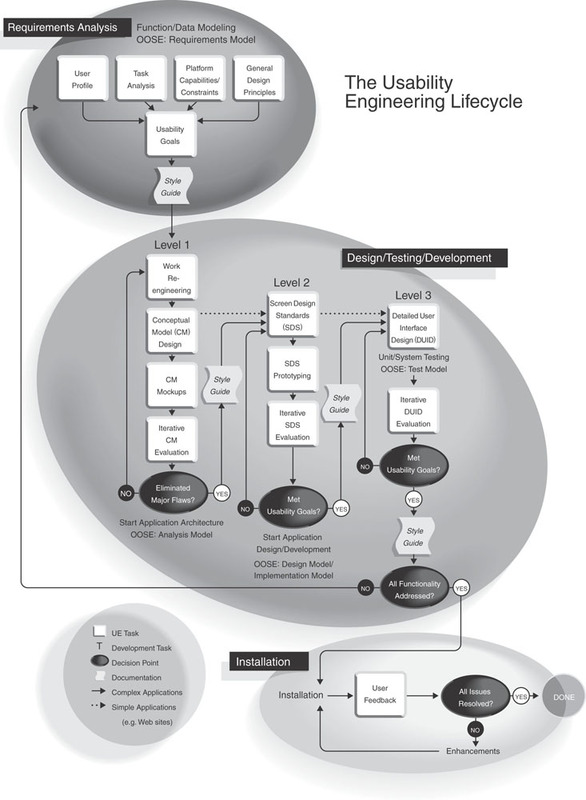 “The lifecycle itself has essentially three tasks: requirements analysis, design/ testing/development, and installation, with the middle stage being the largest and involving many subtasks (see Figure 6.14). Note the production of a set of usability goals in the first task. Mayhew suggests that these goals be captured in a style guide that is then used throughout the project to help ensure that the usability goals are adhered to.